There is a wireless revolution going on. From “smart” phones to “smart” grids to Wi-Fi to unmanned drones to driverless cars, everything seems to be going wireless, with little or no consideration of the consequences to human health. There are red flags linking wireless radiation to serious disorders: leukemia, brain tumors, heart arrhythmias, sleep disruptions, irreversible DNA and neurological damage. But regulating authorities in the U.S. are not regulating. Most so-called research has been funded by industries that profit from electrical pollution. Meanwhile, land-line telephones are being phased out. There is no informed consent for consumers. Warning labels on cell phones have been defeated by telecom industry lobby groups. All computers now have wireless features, whether users want them or not. Wireless technology uses radiofrequency microwave radiation in the longer waves of the electromagnetic spectrum. It is undeniable that some people are sensitive to this kind of radiation. Probably all of us are, children especially. It won’t kill you instantly, but cumulative exposure is dangerous, according to the World Health Organization, which has declared RF radiation a class 2B possible human carcinogen. The human body has its own subtle electrical frequencies, which regulate brain waves, heart beats, metabolism, cell division, immune function, and so on. Artificial frequencies disrupt the body’s own all-important bio-electricity, even at low levels. The environment also is sensitive. 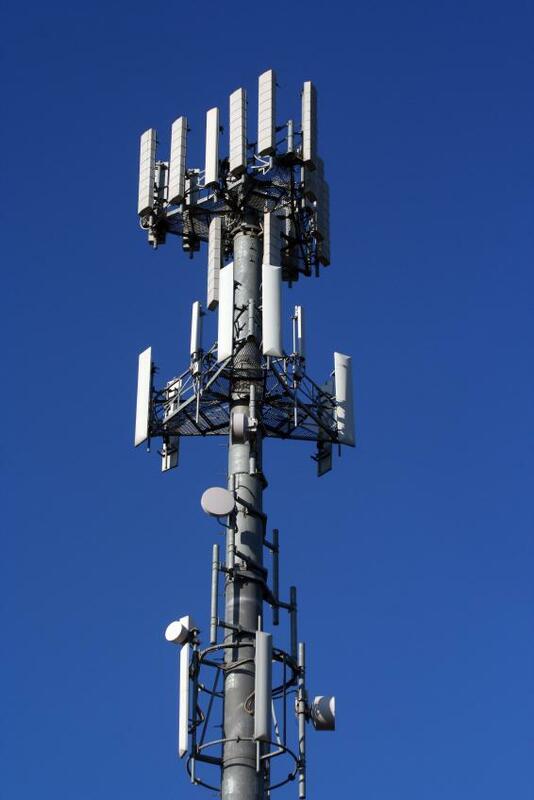 Birds, bats, and bees are known to avoid cell towers, and to become disoriented around them. Their populations are plummeting, for mysterious reasons. Even vegetation reacts negatively. Everywhere levels of wireless pollution are rising at alarming rates. There is no escape. We all live in an invisible fog of energetic air pollution. Reputable scientists are predicting public health crises, even cancer epidemics. But the media are silent and the public are buying the latest wireless gadgets as if they were God’s gifts to humanity. A viewer from outer space would conclude that we are a society obsessed with telephones. It will get worse. Wi-Max and Broadband over power lines (BPL) present unacceptable hazards. Wi-Max can range over many square miles. The debate is over on wireless. The science is in. It remains only for us to heed it. Too many people are getting sick. The focus should be on human health, not energy efficiency. Hard-wired alternatives are available. P.J. Sullivan is the author of three books of historical nonfiction, including “Mostly Rapscallions,” a book of satire about the jokers in history’s deck. It is disappointing to see such a poorly-argued, unconvincing and alarmist article on a web site from which I have come to expect such high standards of research and reasoning. Even if there were a case to be made for the possible dangers of electromagnetic radiation, Sullivan has absolutely failed to make it. His links go only to the web sites of anti-wireless pressure groups, not to any scientific articles or studies at all. The “debate on wireless” is not over. Sadly this article adds nothing of value to it. It is such a worrying departure from the usual well-researched, informative and thought-provoking articles of W. J. Astore and others that I felt I had to comment. There is no doubt that many “modern” developments in technology and chemistry, for one reason or another, are hastily put into wide use with little or no independent evaluation of their effect on both man and the eco system. GMO is certainly one outstanding example where the manufacturers have bought off enough politicians and bureaucrats that it is out there with evidence mounting of disastrous effects genetically on both man and agriculture. High frequency radar emissions were prolifically introduced in WW II aircraft and only after the war was a question raised about their effect on those exposed while squadrons of aircraft radoms were emitting while on the ground. The questions raised by “concerned reader” about high frequency radiation are certainly understandable. Concerned Reader: my “links” are not web sites. They are books by reputable scientists. Have you read them? They cite many legitimate scientific articles and studies. They also discuss the politics and economics behind the cover-up going on. The human body has its own electrical frequencies. Exogenous frequencies are disruptive. It is widely accepted that ionizing radiation is dangerous. Madame Curie found that out too late. How can you be so sure that non-ionizing radiation is safe? You have to failed to make your case for its safety.